A contender for sexiest city in the US, Miami is a product of its location. As an American city with close ties to Central and South America, it is a melting pot for Latin-infused culture. You’ll find Cuban, Mexican and even Brazilian influences in everything from the music to the food and fashion. The location delivers a hot, humid, tropical climate that, combined with some of the world’s best beaches, makes it a magnet for holidaymakers. Miami is really two towns separated by Biscayne Bay. 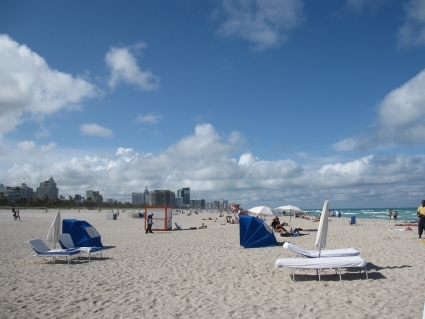 Downtown Miami is where the city goes to work; South Beach is where the city goes to play.